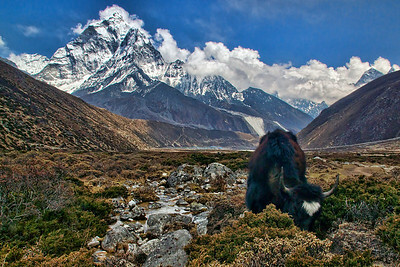 Day.9 : Hike up from Gorak Shep (5125m elevation) to Kala Patthar (5540m elevation). 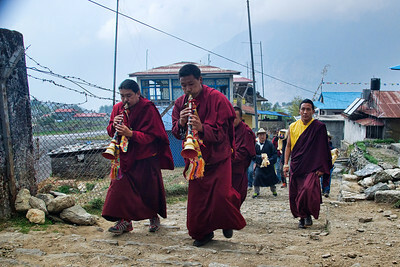 Then hike down to Pheriche (4240m elevation). 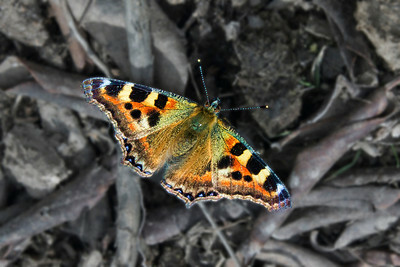 Day.10 : Hike down from Pheriche to Namche Bazaar (3440m elevation). Day.11: Hike down from Namche Bazaar to Lukla (2840m elevation). 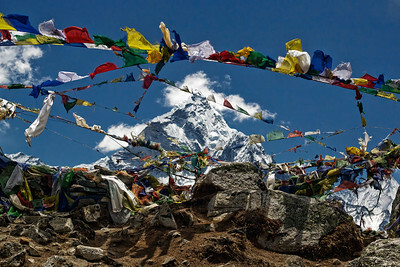 Taboche (6367m elevation) peak, as seen through the myriads of Prayer Flags at the Stone Memorials above Dughla. 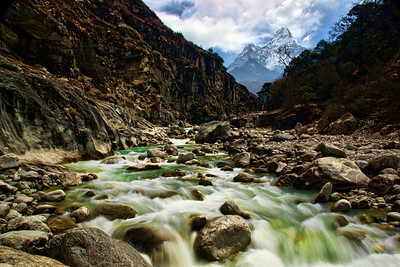 Ama Dablam (6856m elevation) towers atop the valley carved by Dudh Khoshi river. 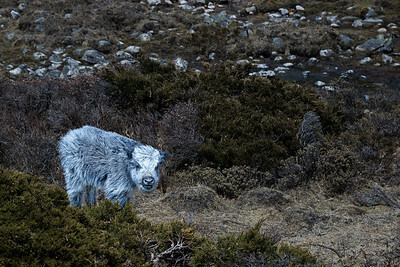 A beautiful Yak Calf, contrasts sharply with it's surroundings! 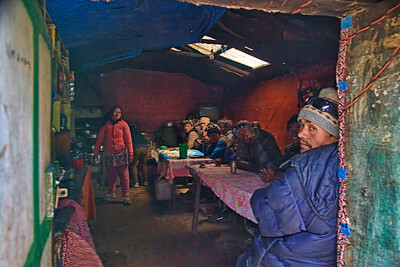 A local kitchen at Pheriche. 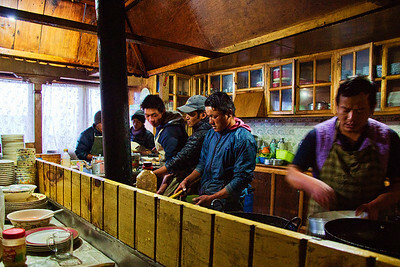 The busy kitchen at Pheriche. All of us! In the lovely teahouse we stayed in at Pheriche. 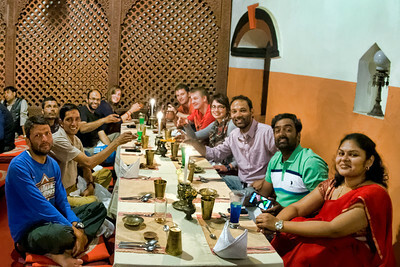 (L-R)Pralhad, Andrew, Natasha, Marius, Michelle, Chandra, Prashant, Atul, Raja, Rudra. 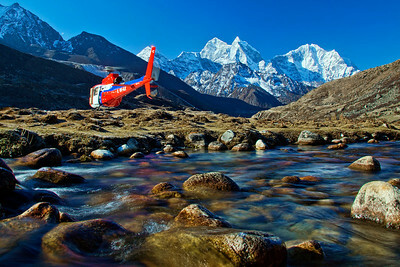 A Med-Evac helicopter takes off from Pheriche in the morning. 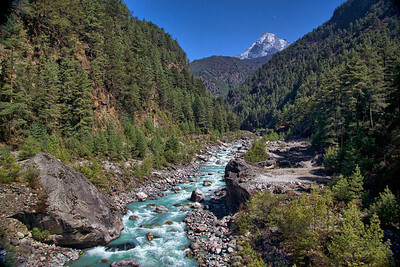 Dudh Khoshi river in the foreground. 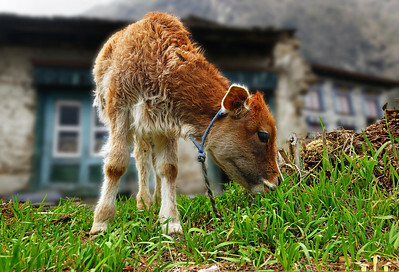 A cute little Nepali kid at Pangboche. 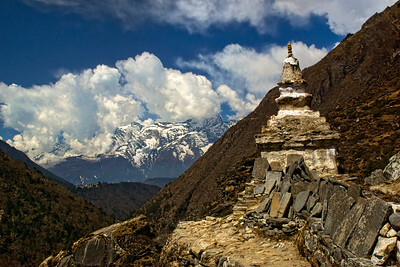 Such Chortens and Mani Walls are plentiful along the trail. Towards the bottom left, you can see the small town of TengBoche. 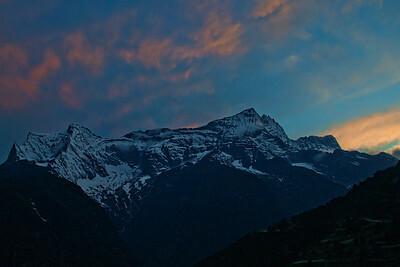 Kongde Ri peak at Sunset. Anytime the trail crosses over from one mountain to another, we had to come down all the way to the river, cross it on a bridge, and climb back up on the other side. 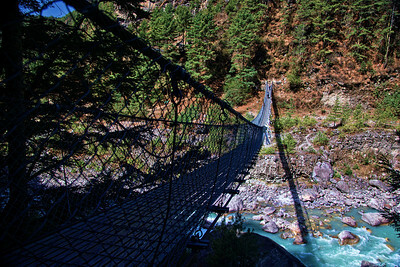 It became tiring pretty soon, and the bridges went from exciting in the beginning, to cumbersome at the end. 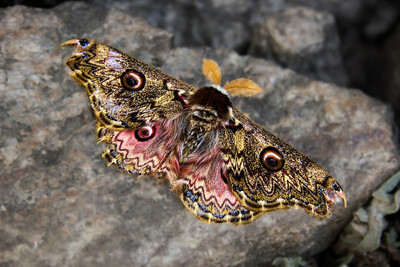 The beautiful Higher Himalayan Emperor Moth - shows scars of its harsh life. All of us - having a fancy farewell dinner at the "Royal Heritage". 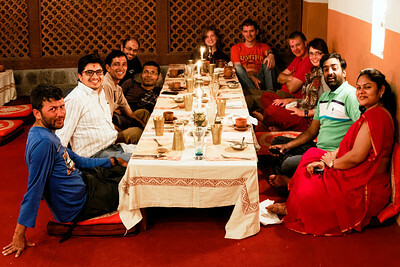 (L-R)Pralhad, Madhav, Rudra, Atul, Prashant, Natasha, Andrew, Marius, Michelle, Raja, Teja. All of us - having a fancy farewell dinner at the "Royal Heritage". 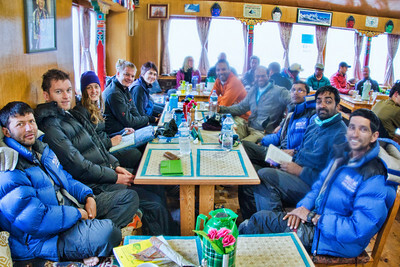 (L-R)Pralhad, Rudra, Atul, Prashant, Natasha, Andrew, Marius, Michelle, Chandra, Raja, Teja.